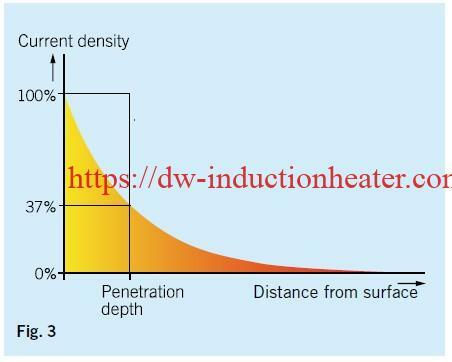 Induction Heating is a flame-free, no-contact heating method that can turn a precisely defined section of a metal bar cherry red in seconds. How is this possible? Alternating current flowing through an induction coil generates a magnetic field. The strength of the field varies in relation to the strength of the current passing through the coil. 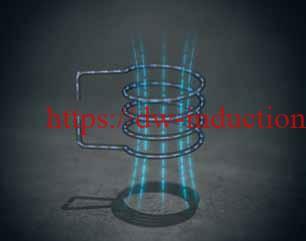 The field is concentrated in the area enclosed by the coil; while its magnitude depends on the strength of the current and the number of turns in the coil. (Fig. 1) Eddy currents are induced in any electrically conductive object—a metal bar, for example—placed inside the induction coil. The phenomenon of resistance generates heat in the area where the eddy currents are flowing. Increasing the strength of the magnetic field increases the heating effect. 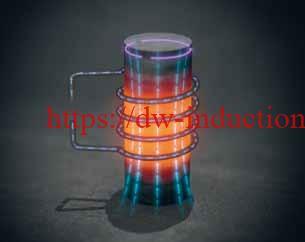 However, the total heating effect is also influenced by the magnetic properties of the object and the distance between it and the coil. (Fig. 2) The eddy currents create their own magnetic field that opposes the original field produced by the coil. This opposition prevents the original field from immediately penetrating to the center of the object enclosed by the coil. The eddy currents are most active close to the surface of the object being heated, but weaken considerably in strength towards the center. (Fig. 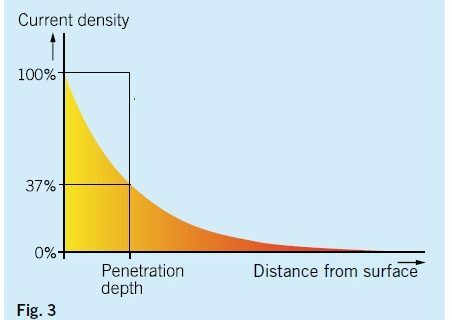 3) The distance from the surface of the heated object to the depth where current density drops to 37% is the penetration depth. This depth increases in correlation to decreases in frequency. It is therefore essential to select the correct frequency in order to achieve the desired penetration depth.